Do you know a 12-19 year old that may be experiencing mild or moderate problems associated with alcohol or other drug use? 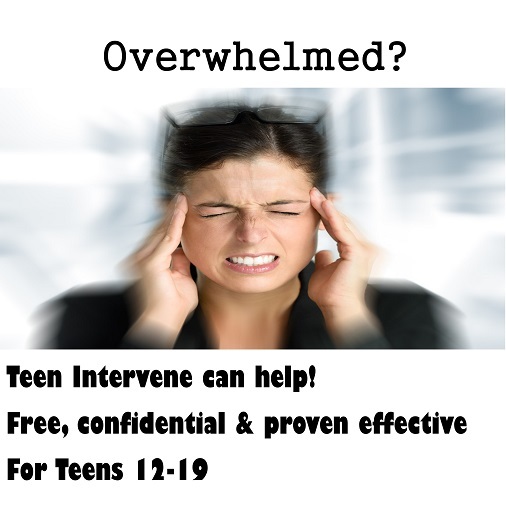 Teen Intervene is an evidence based, time-efficient program involving 2-3 sessions of 30-60 minutes. This program is **FREE** for teens having trouble associated with drugs or alcohol. The program helps the teen learn new skills that promote healthier behaviors and take responsibility for self-change.